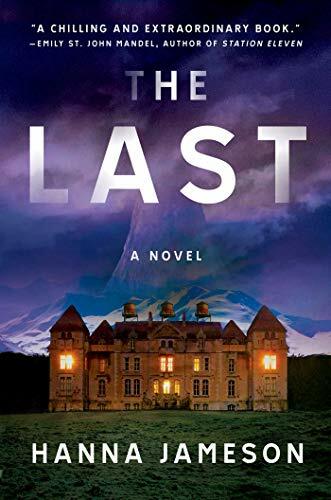 An isolated hotel in Switzerland after multiple nuclear bombs are detonated is the setting of The Last. Jon, an American historian at the hotel for a conference is the book’s narrator. After the bombs drop, the Internet soon fails. Most of the hotel’s guests drive or walk to the city and its airport. By the tenth day, only five staff and fifteen guests remain in the hotel. They are waiting for help that never arrives. When Jon and two of the staff find a body in the water tank on the roof of the hotel, Jon decides to find the murderer. As their food supplies dwindle and the weather turns colder, the survivors turn on one another. The group must decide how to administer justice and how to run their government. I was so excited to read this book. The Shining and Agatha Christie in a Walking Dead setting? Yes, please! Those are some of my favorite books. Of course here comes the however, heavy sigh. However, The Last is much closer to The Road. The Last is a slow-burning philosophical trip into the meaning of life and how a worldwide disaster would force or allow us to act. Would we still care about anything other than our own survival? Would we still have our humanity or would we devolve back into animals? Would we be more religious or fully convinced God had forsaken us? II you are a thriller or mystery fan, look elsewhere. The mystery here is an afterthought at best. Even with its slow pacing, I felt compelled to read it in one day. I would recommend it only for literary fiction fans. I took one star off for the ending, which I don’t want to spoil, leaving it at 3 stars. Thanks to Atria Books and NetGalley for an advance copy in exchange for an honest review.